FRANZIS® - offers high-quality photo-editing software with a broad range of professional product features. 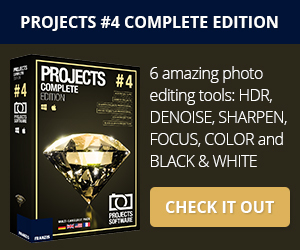 The topselling products are: SHARPEN Projects (Standard & Professional version), DENOISE Projects (Standard & Professional version), HDR Projects 5 (Standard & Professional version), NEAT Projects (Standard & Professional version), COLOR Projects 5, BLACK & WHITE Projects 5. There is an ongoing discount of 25% on all products! Check the 'Get Links" section for links, banners, discounts and downloads. We have a starting commission of 25% including an incentive bonus of €75 if you drive over €300 in sales in Q2 2017. Cleverbridge will send you across the incentive payments once you have reached your €300 threshold. Our commission structure is based on monthly revenue: 25% commission for sales less than €2,500/month; 30% commission for sales between €2,500 - €5,000/month; 35% commission for sales between €5,000 - €20,000/month; 40% - 50% commission for sales above €20,000/month. Heimdal Security - is one of the fastest growing companies in the cyber security industry - highly focused on user education through our blog, free online courses and resources. Winners of the "Most Educational Security Blog" award in 2016, and nominated for Anti-Ransomware Solution of the Year at the 2017 Computing Security Awards. Heimdal PRO is a great supplement to any antivirus product, adding an extra layer of protection - proactive protection. It scans Internet traffic for cyber threats, blocking them before they penetrate the system, and it also constantly keeps security-critical software up-to-date, ensuring increased security levels against advanced malware attacks: ransomware, banking trojans, phishing attempts, data leakage, exploits and Zero Day attacks. You get up to 75% commission for every Heimdal PRO sale you refer: for < 10 sales/month: 50%; for 10-19 sales/month: 55%; for 20-29 sales/month: 60%; for 30-99 sales/month: 65%; for >=100 sales/month: 75%. Hide.me VPN - offers privacy protection, Wi-Fi security, and encryption for a truly private web browser experience, regardless of your location. 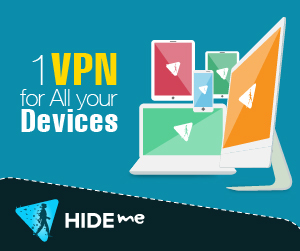 Hide.me is a popular VPN choice worldwide with more than 4.5 million users. We offer 3 product options: Hide.me – Premium; Hide.me – Plus; Hide.me – Free. Our commission structure is based on monthly revenue: 25% starting commission for sales less than $2,500/month; 25% on recurring billing or 30% commission for sales between $2,500 and $5,000/month; 35% commission for sales between $5,000 and $20,000/month; 40% - 50% commission for sales above $20,000/month. Hide My IP - allows you to surf anonymously, change your IP address, prevent identity theft, and guard against hacker intrusions, all with the click of a button. Hide My IP 2008 works with all major browsers and dozens of instant messengers, E-mail clients, games, and more! Protect Your Identity and Stop Hackers - Identity thieves can use your IP addresses to compromise your computer. Installing keyloggers, Trojans, and other tools to aid their crime. Stop them at the source by hiding your IP! Send Anonymous Emails - Hide your IP in E-mail headers. Supports Webmail services like Yahoo, Hotmail, and GMail. Mail clients supported with a Premium account include Outlook, Outlook Express, Eudora, and more! Join this affiliate program to earn a 50% commission per sale on every one of Hide My IP's products. Payments are sent monthly via Paypal or check. iDevAffiliate - Since 1999, iDevAffiliate is the original in self managed affiliate software! iDevAffiliate was hand coded from scratch by the same team that provides your technical support! iDevAffiliate is not a product we’re reselling for someone else and it isn’t something we’ve pieced together from several other lesser quality scripts. Adding affiliate tracking software to your site is one of the most effective ways to achieve more sales and more traffic! 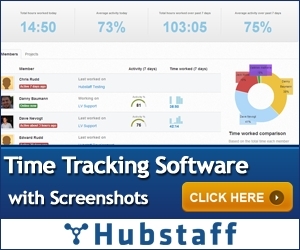 This affiliate software installs in just minutes and integrates easily into your existing website. Earn 20% comission on sales. Ignitur - Built by marketers and based on over a decade of experience, Ignitur is SEO reporting software solution that was created with one goal in mind: to increase productivity. Ignitur addresses the common pain-points most web marketers share through three important web marketing workflow components: analysis, project management, and a reporting engine. Ignitur provides a snapshot of all your analytical information — Google Analytics, AdWords PPC, Constant Contact email, Ahrefs link data, keyword ranking, Google Web Master Tools, social media accounts, and many more — in one central place – your Dashboard. That means you make decisions in real time, without the hassle of logging in and logging out of multiple services, Gmail accounts, etc. We compile all your key analytical data at the click of a button. Ignitur comes with a powerful task management component. Ignitur sets up and prioritizes your marketing campaigns, builds marketing plans, and helps manage periodic tasks for one or multiple users on one or multiple accounts. Ignitur takes the guesswork out of web marketing by instructing you what to do and how to do it. Ignitur helps you achieve high efficiency with your web-marketing activities, with minimum cost and effort. Earn 25% monthly recurring commission with a 90 day cookie duration. Some other options are available as you grow as a partner. IMSI - is a globally branded, leading developer of computer-aided design, graphics, utilities, and business productivity software for the professional and home user. IMSI products such as award-winning TurboCAD and DesignCAD have strong name recognition with over a million copies sold world wide. Other popular software titles include FloorPlan, HiJaak, FormTool, and FlowCharts & More. Product price points range from $19.99 to $695. Commissions can range from $4 to $139. Their average sale is $90, and the referral will be effective for 30 days. Instant Magic Link Masker - No Secret- Its The One Tool Every Affiliate Needs! And its making affiliates who use it or promote it millions!! 'Instant Magic Link Masker' has just been released on the clickbank marketplace. Needs no complicated coding, simple to install. Stop commission theft! Increased click through rates and profits up over 300%! Real Hot opportunity for Affiliates to earn 60% commission on this high converting software. Earn 60% commission on all sales. Get paid regular via clickbank. Stats available 24/7. Investintech - is a leading developer of desktop and enterprise PDF Software Solutions. Their products lets users create secure PDFs with a click of a button and also extract their PDF data into more useable data such as editable Word documents and formatted Excel spreadsheets. Affiliates earn a generous 30% commission and payments are made monthly. Affiliates also enjoy a 365-day click cookie, timely payouts and attentive management. Every site is a match for this program. Sign up now! Iolo Technologies - produces award-winning utility software that optimizes and protects computers running Windows. Since its formation in 1998, iolo has established itself as a leader in the competitive utility software market, receiving awards from industry analysts and media year after year. Please note that through the iolo technologies affiliate program you can market the following products: Phoenix 360™: Total performance, protection and privacy for your digital life. Phoenix 360 is the ultimate suite of 7 integrated software products and multi-device applications that optimize the speed and stability of your computers, identify and remove malware, viruses, adware and spyware, protect and secure your online identity by helping ensure anonymous browsing, stopping ad-trackers, securing your passwords and fully automating the login experience across all devices and websites. System Mechanic 17 Professional®: Protect and tune your computer -- automatically. Combining 5 award-winning iolo PC tune-up and data security products, System Mechanic Professional is everything you need to keep your PC safe, fast, and error-free. System Mechanic® 17: Boost your computer's speed, power, and stability with advanced PC tune-up. System Mechanic gives you over 50 automatic tools to clean hard drive clutter, repair your registry, defragment drives and memory, and optimize system and internet settings. System Mechanic® Business Revive the speed and stability of all the PCs in your office to keep everyone working efficiently. System Mechanic Business will help you eliminate wasteful activities, delay PC replacements, increase productivity, and reduce power costs. Privacy Guardian™: Helps ensure anonymous web browsing, thwarts digital profiling of your online habits, keeps search history private, helps prevent identity theft and stops ad-trackers from following you around the internet. Protect your private life with Privacy Guardian. System Shield® 4 AntiVirus and AntiSpyware: Eradicate stubborn PC pests and block future infections with no system slowdown. System Shield provides triple-certified protection while maintaining maximum PC performance, so you can shop, bank, and socialize online without the threat of spyware, viruses, and other threats. Search and Recover®: Recover lost data from your PC or digital device. Get back accidentally deleted documents, music, photos, email, videos, system files, and even entire folders. Search and Recover restores missing data from hard drives, CDs-DVDs, cameras, MP3 players, flash drives, and more. DriveScrubber®: Secure your personal information when you sell, donate, or recycle your computer. DriveScrubber permanently erases your hard drive data, exceeding Department of Defense security standards and ensuring that your private files will never be recovered. Earn 40% commission on sales. 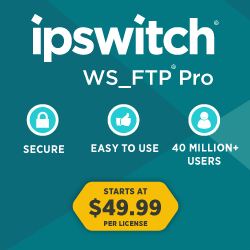 Ipswitch - The Ipswitch Affiliate Program allows you to earn commissions by acting as a referral associate for our award-winning WS_FTP Professional product. WS_FTP Professional is the most widely used FTP Client in the world, with over 40 million users worldwide. WS_FTP Professional is the safest and easiest way to exchange sensitive information. Our affiliate program can earn you between 20-35% commission through each sale your affiliate-specific link generates. You'll also receive access to exclusive Affiliate-only promotions and Marketing materials, and we'll handle all the product support and billing. iSkysoft - offers a wide range of software to convert videos to all sorts of popular video formats or just convert videos for specific devices, including iPod, iPhone and more. YouTube downloader series are consisted of free video downloader and iTube Studio for Mac. It's the easiest solution to play online video anywhere, anytime. DVD Creator, a great solution to burn DVDs from any video and photos for playback on a big screen TV, you can weave photos and video into compelling DVD movies like a pro. PDF Editor, this product line enables you to edit PDF files like a word processor and you can convert either standard or scanned PDF documents to editable Text, Word, Excel, PPT, etc. Data Recovery, the program aims at rescuing lost data from Mac and Windows computer. You also can use it to retrieve deleted data from SD card, USB drives and more portable devices. Mobile Transfer, iSkysoft offers flexible phone to phone transfer software to transfer any data between iPhone, iPod, iPad, Android, Blackberry, Symbian devices, Mac and Windows PC. Earn 50% commission on sales. JW Player - is the New York-based company that pioneered video on the web. As creators of the world’s first open source video player in 2008, we powered the original YouTube and have since expanded to video hosting and streaming, advertising, and analytics for 1 billion monthly unique viewers in 200 countries. By joining our affiliate program, you can offer publishers a flexible, powerful solution for visual storytelling. JW Player’s Starter plan, affordable at just $60 per year, is ideal for content creators and front-end web developers. Our more robust Business plan, priced at $600 per year, is geared toward small businesses and marketing agencies. Commission Rate: $10 per Starter plan and $100 per Business plan (16.67%). Jetico - Encrypt with BestCrypt & Wipe with BCWipe. Jetico provides endpoint data protection software - BestCrypt to encrypt data you need, BCWipe to wipe data no longer needed. Jetico products are trusted by government and military agencies, all of the top 10 U.S. defense contractors, many national laboratories, as well as various other enterprises and a wide global base of home and small business users in over 100 countries. Earn 20% commission on sales. Juxio Corporation - website is dedicated to the sale of technical support service plans and educational software for your PC. Earn $0.01 per referal. Kaspersky Lab International Ltd. - Kaspersky AV (AVP) is one of the world's leaders in anti-virus technologies. The product was the first to integrate a processor emulator for code decryption, an external anti-virus database with embedded specialized modules, a search capability within archived and compressed files, an "on-the-fly" virus interceptor for OS/2, integrated anti-virus protection for Linux, integrated anti-virus protection for MS Office 2000 and an anti-virus for Novell NetWare featuring deep integration with NDS. Recognition of Kaspersky Lab's technological leadership is illustrated by the number of data security companies, inter alia F-Secure (Finland), G-Data (Germany), and Vintage Solutions (Japan), that license the Kaspersky AV (AVP) anti-virus engine. Kaspersky Labs has distributors, resellers and VARs in more than 40 countries worldwide. KasperskyTM Anti-Virus (AVP) is available in Czech, English, French, German, Greek, Icelandic, Italian, Polish, Romanian, Russian, Spanish, Swedish and Ukrainian. Earn 11% commission. Kaspersky UK - Kaspersky are the award winning internet and mobile security software providers. Welcome to the Kaspersky UK Affiliate Program. Affiliates should note that only UK and Republic of Ireland residents are able to purchase from the Kaspersky UK website, so commission will not be paid if you refer traffic that goes on to purchase from elsewhere. As a launch initiative, commission will be 20% with a 45 day cookie window. Get 30% OFF with every Kaspersky Total Security Multi Device don't miss out! Commission is paid on all online sales of Kaspersky's Internet Security, Anti-Virus or Mobile Security products. LambdaTest - is one of the fastest growing SaaS startups in the field of cross-browser testing. Everyone having a website needs to test it for cross-browser compatibility be it an individual or an organization. So, it is an amazing opportunity to be a part of LambdaTest’s affiliate program since anyone can buy LambdaTest to fulfill his testing needs. On the top of it, you get a flat 25% recurring commission on all yearly plans. On monthly plans, get 50% commission on first transaction followed by recurring 25% monthly commission for lifetime. LambdaTest affiliate program is a golden opportunity for you to partner with LambdaTest and make money by promoting LambdaTest platform. It is a mutual contract between both the parties to benefit from each other. For every user acquired from the affiliate’s efforts, the affiliate will get a part of the deal and Lambdatest will get a user. Laplink Software - For over 30 years, Laplink Software has been a global leader in PC connectivity. Our commitment to our client’s needs has been the driving force behind all our product development and has earned the loyalty and trust of more than 15 million customers worldwide who migrate, transfer, synchronize, share, and remotely access billions of files per week. Laplink has a wide variety of products that span various categories; including remote access, file transfer and synchronization utilities, migration software, mobile device synchronization, and much more. Laplink products are available in multiple languages such as French, Spanish, Italian, and German. Our flagship solution is PCmover, the #1 selling PC to PC migration utility in the world. Recommended by experts and trusted by millions, PCmover is the ONLY migration product that moves selected applications, files and settings to a new PC. WHY JOIN? By joining the Laplink Affiliate network you will become a colleague of the highest rated PC connectivity manufacturer in the industry today. If you can convert on a target market that includes PC users, mobile users (including Pocket PC, Windows Mobile Palm, Tablet PC, and more), small businesses IT professionals and enterprise users, then the Laplink affiliate program is perfect for you. Program Benefits: 25% commissions with performance incentives. LiarCard - Patented technology previously only available to law enforcement, financial and security organizations! LiarCard is the first phone card and web application that analyzes voice stress with the latest in spy technology. Lie detection is over 95% accurate with LiarCard. LiarCard's technology currently powers the hit TV show "MTV Exposed!" Over 95% accurate, Instant analysis during conversation, Advanced call analysis graphs, Free call recording, Download your recordings, Easy to use with instant access! LiarCard minutes are sold at 3 different price levels: $10 for 30 minutes, $20 for 60 minutes, and $40 for 120 minutes. Earn 20% commission on sales. LightSpeed PC - Over time the performance and speed of computers deteriorate due to various Registry Errors, Unnecessary Ran Programs, Disk Space and your RAM speed. You will notice that over time it takes much longer to open simple programs which took only a few seconds to open before. A lot of times your computer just freezes and the only option is to restart – a process that can take up to 10 minutes a lot of times. You might think your only solution is to either purchase a new computer or hire a computer technician – both options are very costly and can be a real hassle. Fortunately with LightspeedPC’s proprietary software you can not only increase the speed of your PC but also optimize its overall performance. We offer a competitive commission of 75% on every single sale-in addition to bonuses outlined in the chart on our affiliate page. We also have a ton of promotional material including read-to-use Landing Pages, Banners, Videos, Promo Graphics, Sales Articles and Keywords; to help you quickly get started and start making money at the speed of light!